Is your child in elementary school or entering it soon? If so, then there's a good chance that he or she will need to take elementary placement tests. Keep reading to find out more about how to prepare for these exams. There's no disputing the importance of placement when it comes to education. What level your child studies at in elementary school will impact his or her entire education in the years to come. One of the primary ways in which many schools determine where to place your child is through testing. What Are Elementary Placement Tests? Placement tests are typically used by elementary schools to assess your child's ability to learn at a specific level or in a specific style. Your child will often need to take one when enrolling in a new school or at the end of a school year. Based on his or her score, you, your child's teacher and the school's staff can make an accurate judgment as to what the best plan of action is for your child's education. If your child is getting ready to take an elementary school placement test, he or she can prepare with activities that use higher order thinking. Solving puzzles or logic problems is a great way for kids to practice. 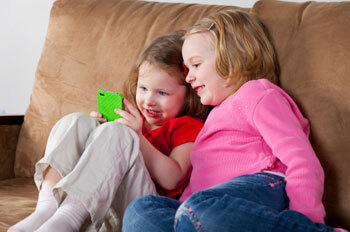 Many educational websites offer games, worksheets and activities you can do with your child. In addition, read with your child and ask comprehension and reflection questions. Help him or her begin to develop study skills. The earlier your child develops these skills, the more refined they'll be later in your child's education. Not only will this be immediately useful for an elementary placement test, but it will become even more useful when your child moves on to middle and high school. Where Can I Find Elementary Placement Tests and Other Resources? To find an elementary placement test, contact the testing company of your state's standardized test provider. Also, your state may have websites where you can find sample tests or tests from other years. Talk to the education professionals at your child's school about the specific test used at their institution. You may also be able to purchase a test online or at the home-schooling section of a bookstore. You can also make sure that your child knows everything he or she is supposed to have learned up to that point. Print your school's learning standards from the district website and quiz your child on each skill or topic.